Below you will find resources specifically meant for educators regarding the Workman Publishing Company imprints of Algonquin Books, Algonquin Young Readers, Artisan, duopress labs, The Experiment, Storey Publishing, Timber Press, and Workman. Bring our books into your classroom for reading group discussions or curriculum with these handy discussion guides and lesson plans. We have books that are featured on state award lists from all over the country. See what books are on your state award list! To request desk copies for possible adoption for FYE or individual courses, please email libraryteam@workman.com. 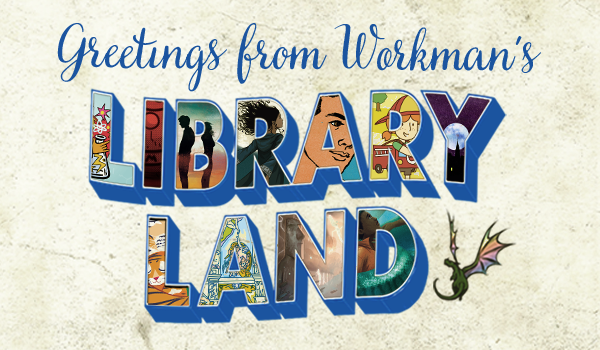 Greetings from Workman’s Library Land is a newsletter dedicated to bringing you the latest information on all the children’s books from Workman Publishing, Algonquin Young Readers, Storey, Duopress, and all our wonderful imprints. Sign-up to receive book recommendations, updates on author events, conference happenings, giveaways, and more!